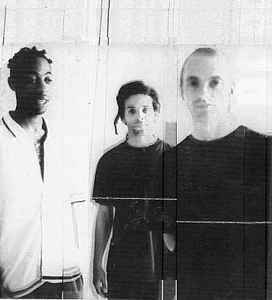 Regardless of what you may or may not have heard about the infamous ‘Bristol Sound’ over the years, either in the press, from friends or on vinyl, one thing is certain, that sound did not originally come from the likes of Massive Attack, Portishead or Roni ‘still raving like its ‘1991’ Size. While the Wild Bunch (a loose outfit of Bristol based MCs, graffiti artists and DJ’s) can claim credit for breaking the sound to a wider national/global audience, it is Smith & Mighty who can rightly pronounce this throne as their own. A bit to laid back for their own good to have gained any credible success or recognition on a national platform in the late 80’s/early 90’s, (it took them 7 years from the date of their first release in 1988 to 1995 when they released their debut LP, Bass is Maternal) they still command significant respect amongst the more discerning music aficionados. Unfortunately, their idleness proved to be their undoing in terms of gaining any real commercial success. While they pondered about unproductively in the early/mid 90’s, (this is only partly true, while studio output was minimal, they maintained a strong and consistent presence on the DJ/sound system circuit) the scene around them changed and saw a wealth of new pretenders pushing forward their own deep and dubby sound to much greater acclaim. While Smith & Mighty never officially dissolved as an outfit, with output slowing down to a trickle, Rob Smith and Peter D off-shot and became the (Mighty) More Rockers, a strictly Drum & Bass affair and, enjoyed a good (and due) amount of global success, especially in the UK, mainland Europe and Japan were they have toured on numerous occasions. Today, party appearances and guest DJing slots aside, Rob Smith appears to be the only remaining member who still maintains a degree of output and has enjoyed some success in 2003 with his solo LP – Up on the Downs. The smoothness of the release LIFE IS... Is so overwhelming and pleasant. Totally amazing sound engines, soft and waterticklingly cool, clean and super crisp. PS, the best production EVER! The original dub masters!! These guys made dub music wot it is today, pioneering wot they call "the bristol sound". they've worked with alot of the big dub names including Massive Attack. Not really very well known because of record label troubles that stopped them releasing much for 5 years!! also record as More Rockers and Jaz Klash.